Before you begin the process of Device Registration, you must first find and retrieve the MAC Address of the wireless antenna of the device. Once the MAC Address has been located and written down, disconnect your device from any wireless network if it is connected. 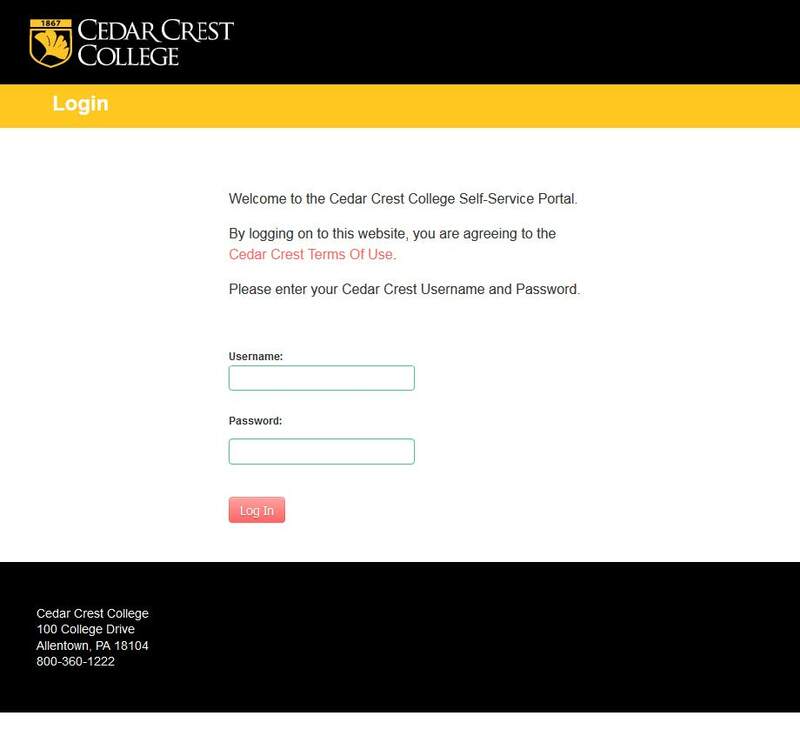 Login with your Cedar Crest login and password. Once you login, you’ll see the following window. 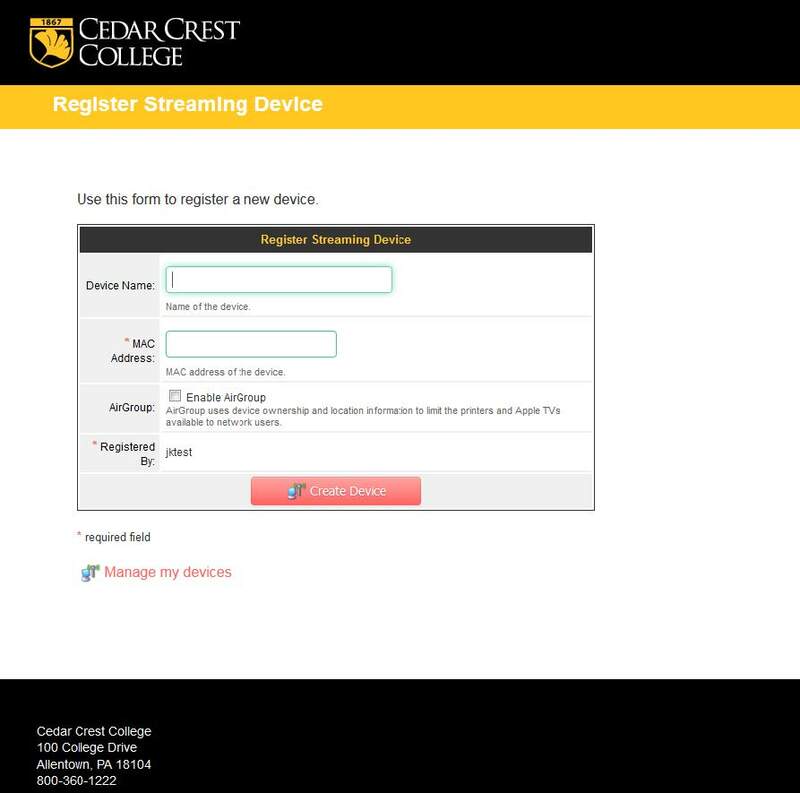 Now connect your device to the FalconStream wireless network. Alternatively: Watch this Tech Talk Video that will walk you throught the process: Connecting to FalconStream with your SmartTV, Console or Streaming Device.